Nieder is Yoshi's doll, a combination of a jian and fan which are connected with an extending chain. Both the fan and sword have separate personalities. The jian end has a male voice (although high-pitched), and the fan end has a female voice. 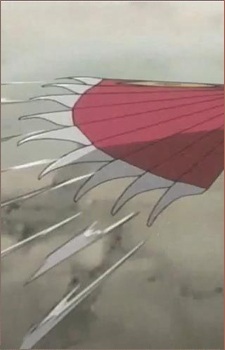 The fan acts as a shield while the jian is the main weapon. Nieder can transform itself into two different forms: defense and offense. In either transformation, however, Yoshi can only use one of the weapons, effectively crippling her defenses when in 'jian form' and disabling her offense in 'fan form'. Also, when changing forms, she has to return to her normal form first, which causes a small lag time in which she is defenseless.